“He Lives in Bayonne” is paired with Sometimes © 2010 Megan Chapman, mixed media on canvas, 30×40″ These poems will be collected in Flemish, coming out from Wave Books in 2013. Nicole Zdeb’s “For the Record” is paired with Sierra Matlock’s photographs. Yolanda Sharpe’s work is drawn from a body of encaustics made in 2011 and 2008, a series of large pen-and-ink drawings, and several series of oil paintings. More of Yolanda’s work can be found at www.yolandasharpe.com. 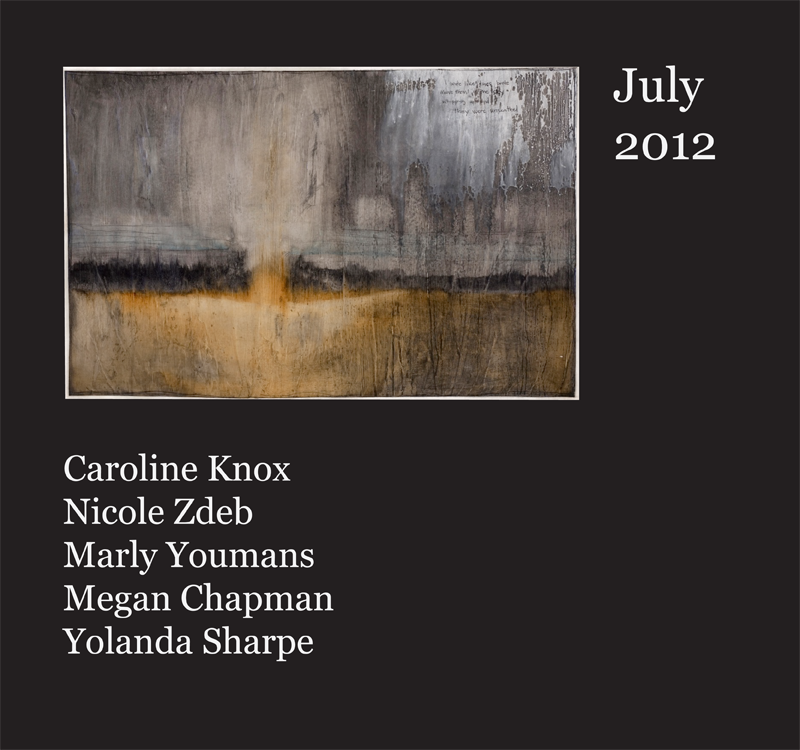 Stephenie Foster is the cover artist for the August issue. 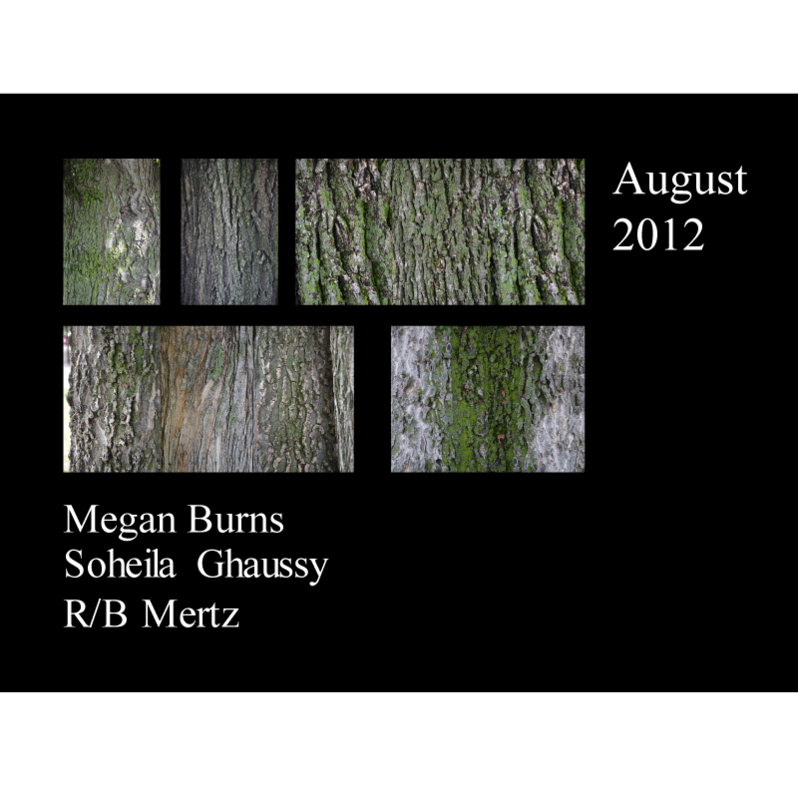 Soheila Ghaussy’s writing is paired with Stephenie Foster’s hybrid images of conte’ crayon and photography. 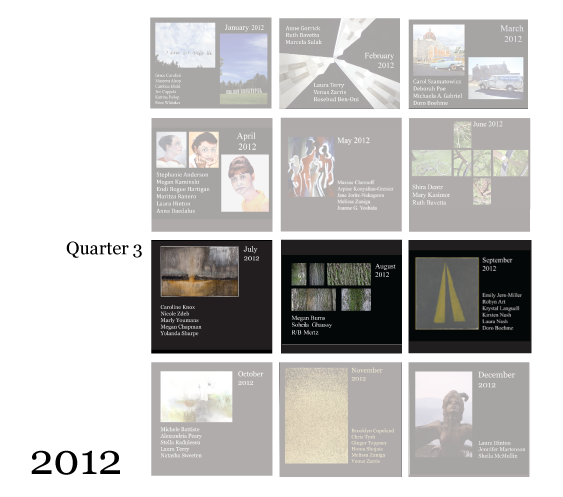 More of Soheila Ghaussy’s work can be found in the Cortland Review http://www.cortlandreview.com/authors.php?search=soheila+ghaussy. R/B Mertz’s writing is paired with Carolyn Guinzio’s photographic images from her palimpsest series of layered textures. 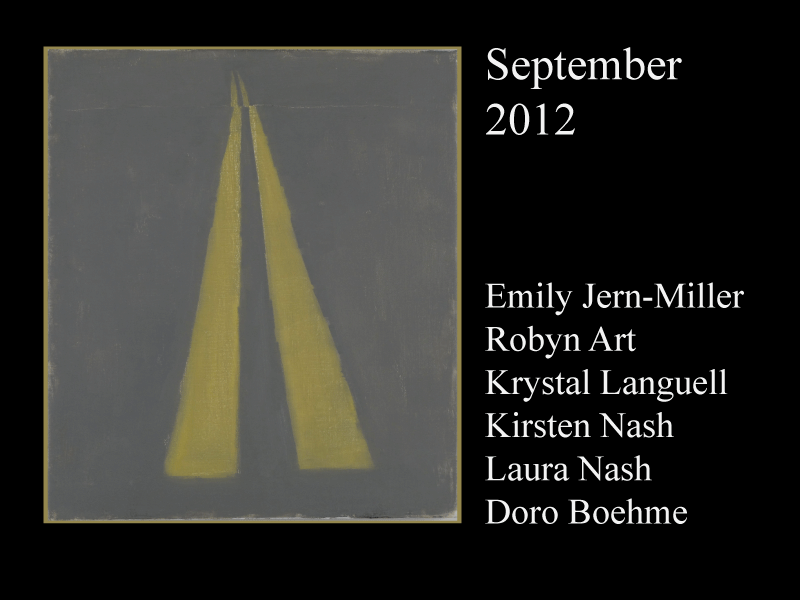 Kirsten Nash is the cover artist for the September issue. Her artwork explores the complex relationship between culture and the natural world, and how abstraction becomes a tool for navigating, translating, and comprehending human experience.